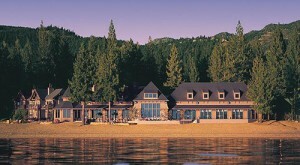 TahoeFest 2013, to be held to the Hyatt Regency Hotel in Incline Village, Nevada on the shores of Lake Tahoe is shaping up as the go to seminar of the year. Hosted by yours truly, Mark Schauss, it will provide the attendees practical tools to help improve their practice. The prestigious group of speakers includes Luke Bucci, PhD, Ryan Bentley, DC, John Young, MD, Karen Hotchkiss, MD, and Mark Newman, MS. When the TahoeFest 2013 conference is over, you will be able to put all of the information presented into use the first day you are back at your practice. To sign up for TahoeFest 2013 just click this link. The conference location is one of the most beautiful spots in the world. Come and spend some time relaxing in their indoor-outdoor pool or just take in the incredible scenery that is sure to make the trip a memorable one.